Your kids will have a blast in the KidZone. 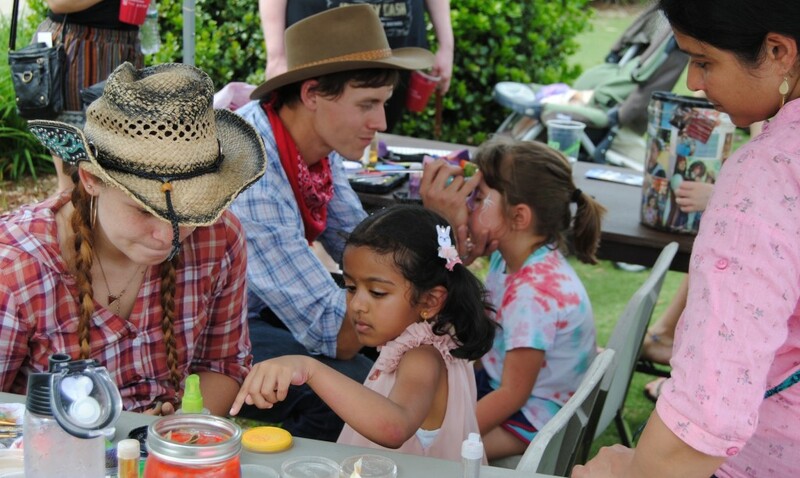 They can climb the “Ultimate Challenge” obstacle course bouncer, get their faces painted, make some themed crafts, and meet llamas in our Petting Zoo! Families can take fun photos at our Photo Booth and then post to social media using tag #FestintheWest! We’ll post these during and after the event and maybe someone will win some swag! 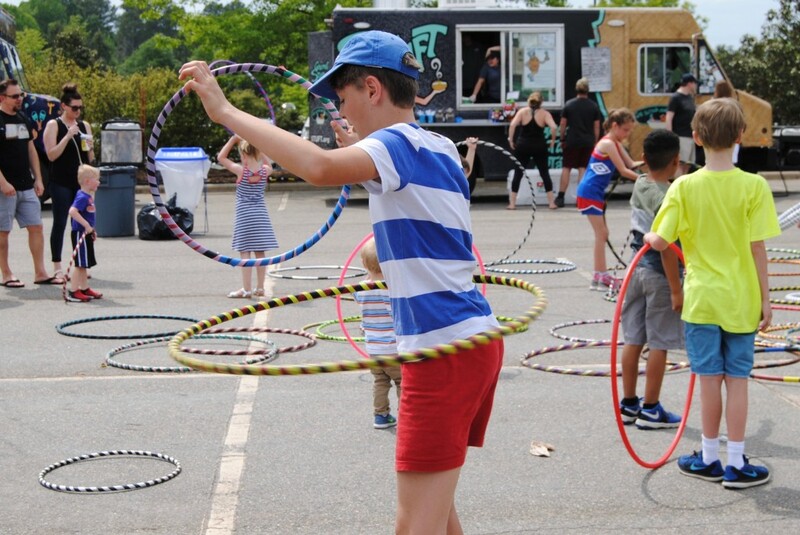 The KidZone has several areas that can be sponsored. All sponsorships include a tent, table, and chairs for your free booth space. Imagine Circus acrobatics and stilt-walkers. Our Kid Zone Sponsors are: Nature’s Twist from Pepsi Bottling Ventures, the largest privately held manufacturer and distributor of Pepsi-Cola products, Praxis Church (coming to Cary in 2020), Mosaic Family Dentistry, where dentist Megan Nguyen DDS values patient relationships and makes it her priority to deliver gentle compassionate care that you deserve and Oak Village Academy, where children connect with nature to learn. 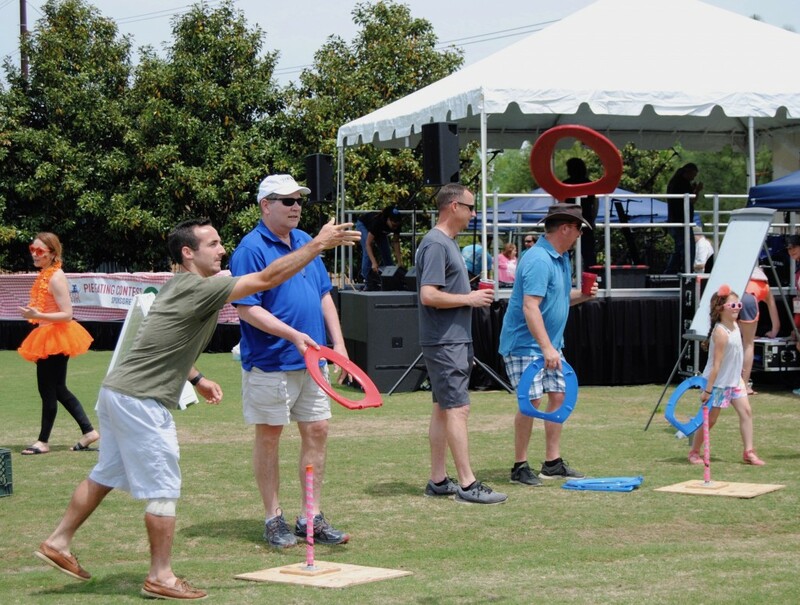 The Hillbilly Horseshoes Contest will test your skills and patience as contestants attempt to get a ringer throwing toilet seat covers for points. Takes place at 12:30pm near the Main Stage. The Hillbilly Horseshoes contest is sponsored by Orangetheory Fitness . Their fun team members will be assisting us with scoring our contest. Look for their fun booth at the festival. The Pie Eating Contest challenges a dozen festival-goers to eat a whole blueberry pie in the quickest time, leaving empty plates, full bellies and a satisfied crowd. Takes place at 2:45pm near the Main Stage. 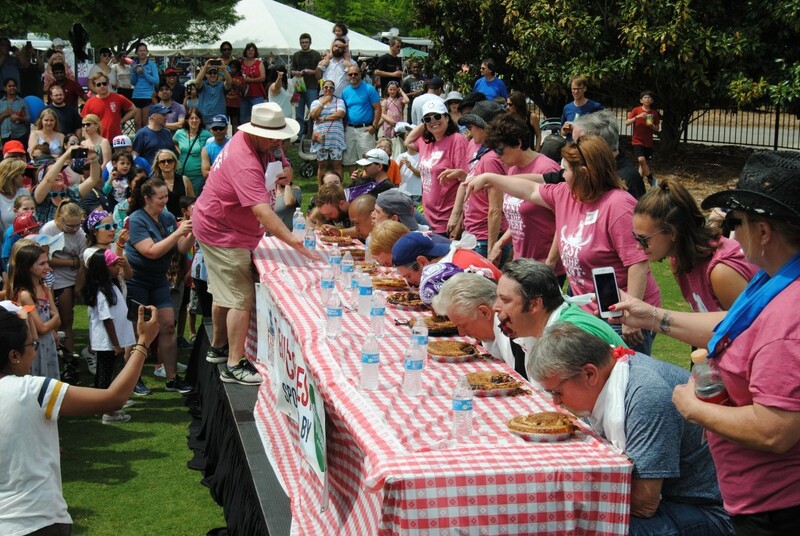 The Pie Eating Contest is sponsored by Carpenter Veterinary Hospital, a full-service small animal veterinary hospital which offers services to care for all of your pet’s needsincluding high-quality veterinary medicine, premium overnight boarding, doggie daycare, and grooming.